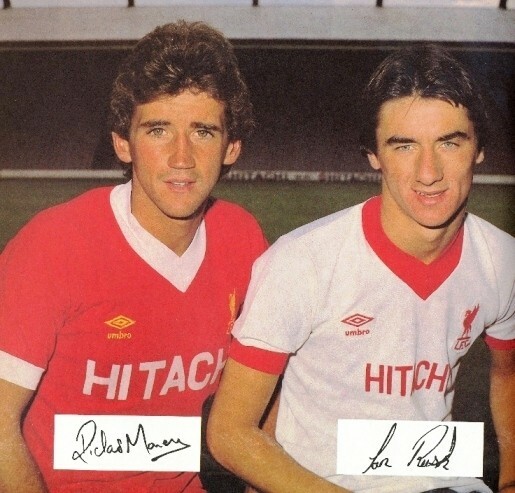 Ian Rush arrives along with Money - LFChistory - Stats galore for Liverpool FC! 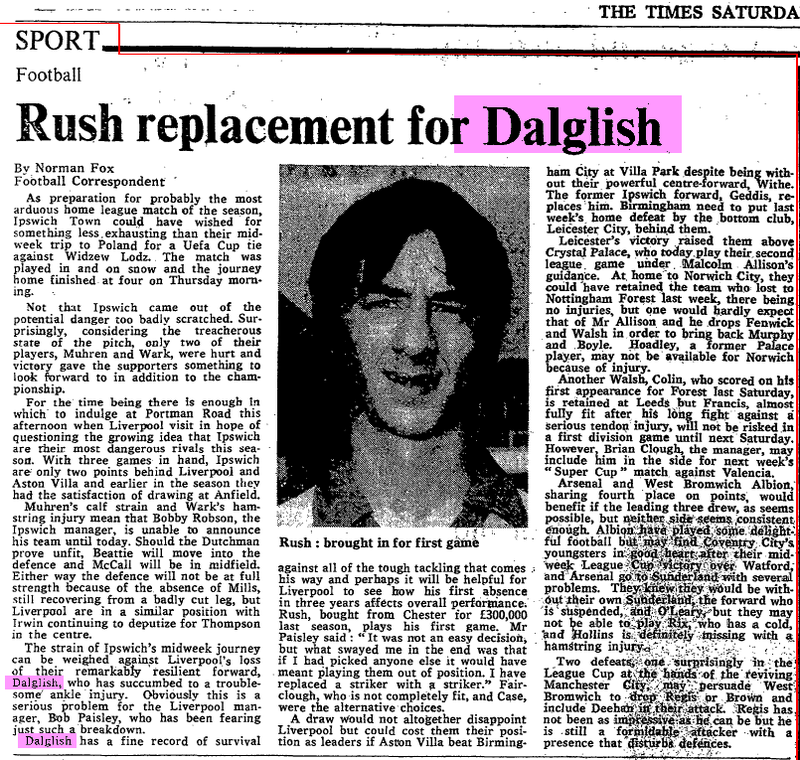 Ian Rush was a realitively unknown player when he arrived at Liverpool in April 1980. A few weeks later former England U-21 international Richard Money arrived from Fulham. Their fate at Liverpool proved to be quite different. One was to become a certified legend, the other one made 17 appearances in two years. Welsh international Rush made his bow when Kenny Dalglish was ruled out of the League game at Ipswich in December. His next senior outing was not until April 1 when he was pitched into the League Cup Final replay against West Ham at Villa Park... the first time he had played in that competition. For the teenager who made his Chester debut in April 1979 before joining Liverpool a year later for £330,000, it was an auspicious start to another April – and he made a glittering impression with his skill and shooting power. He finished the campaign with nine senior appearances under his belt and is, clearly, someone who could play a big part in Liverpool’s future. Rush's head was spinning at this point: "Going up to receive a winner’s medal after my first game in the League cup was a wonderful moment. Many great players had the chance. It’s my first medal in professional football and I’ve given it to mum and dad to look after for me." Rush still hadn't scored in the 9 games he played in his first full season for the senior team, but had netted 12 goals in 30 appearances for the reserves. Money played a bigger role in the team than Rush in the 1980-81 season. Versatile Richard Money was called into first team action in both full back berths and at centre back. Money also featured in the dramatic 1-1 draw in Munich which saw Liverpool topple Bayern to reach the European Cup Final. Richard wore the no. 3 shirt that night at the Olympic Stadium and his performance was later praised by Laurie Cunningham, Real Madrid’s England winger. As he prepared to face Liverpool in the final in Paris, Cunningham said: "I watched Liverpool play in Munich on television and I was very impressed by Richard Money. I liked the way he kept the forwards supplied with accurate crosses." Unfortunately for Money he didn't make another appearance after this season after Mark Lawrenson arrived from Brighton for a record fee of 900,000 pounds.